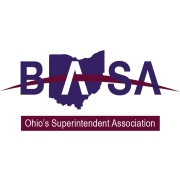 The Buckeye Association of School Administrators (BASA) is a private, not-forprofit organization that serves school superintendents and other administrators throughout the state of Ohio. BASA, established in 1969, is an affiliate of the American Association of School Administrators. The mission of the Buckeye Association of School Administrators is to inspire and support its members, develop exemplary school system leaders and advocate for public education.